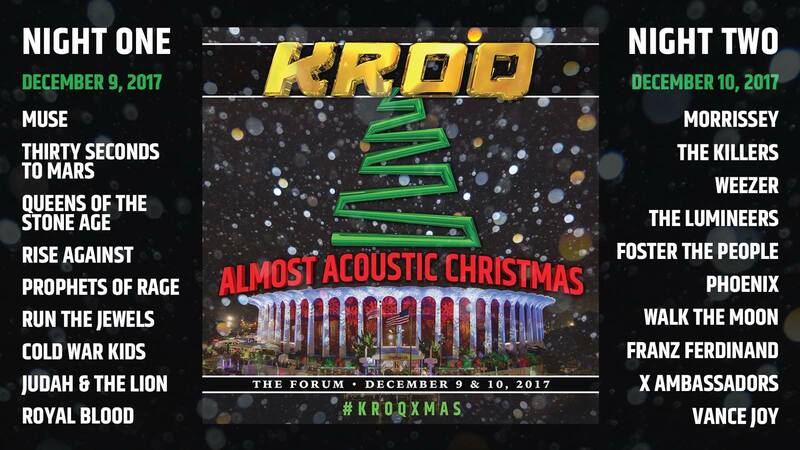 Los Angeles alternative radio station KROQ has revealed the lineup for this year’s Almost Acoustic Christmas. And it’s really good. 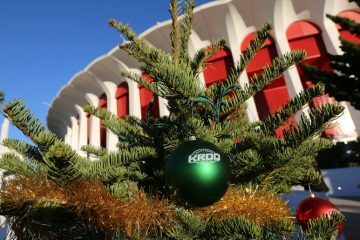 Set for Dec. 9 and 10 at The Forum in Inglewood, this year’s roster boasts performances from Morrissey, Muse, The Killers, and Queens of the Stone Age, all A-list festival headliners in their own right. Additionally, the likes of Weezer, The Lumineers, Foster the People, Phoenix, Run the Jewels, Cold War Kids, Judah & the Lion, Royal Blood and X Ambassadors will all be performing over the two nights. Tickets go on-sale this Friday (Oct. 20) at noon PST. All proceeds will benefit Para Los Niños and the Al Wooten Jr. Heritage Center, both of which aim to improve educational resources for families in Southern California.